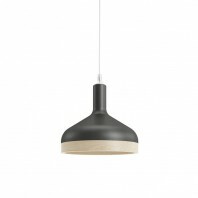 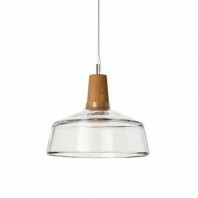 The Maria SC pendant features a ceramic socket for light bulbs and adapts to individual décor and is inspired by traditional lighting forms. 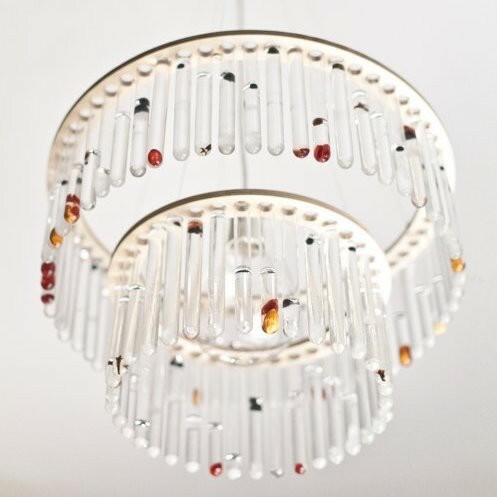 The Test Tube Chandelier Maria SC channels the creative spirit of Duchamp and the research of Marie Curie into a contemporary hanging lamp. 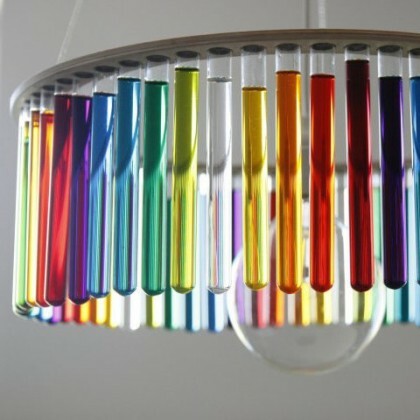 Experiment away! 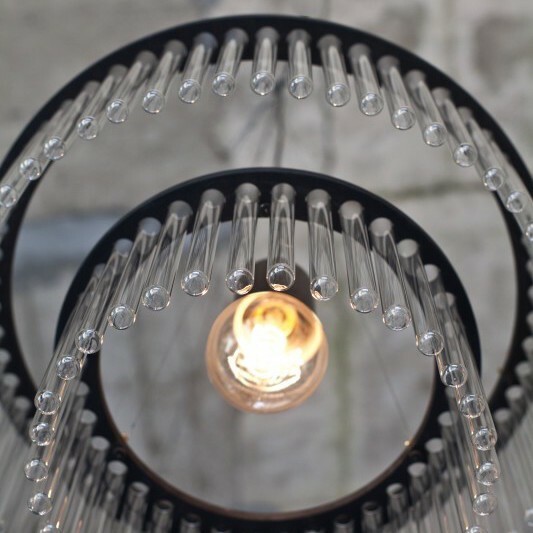 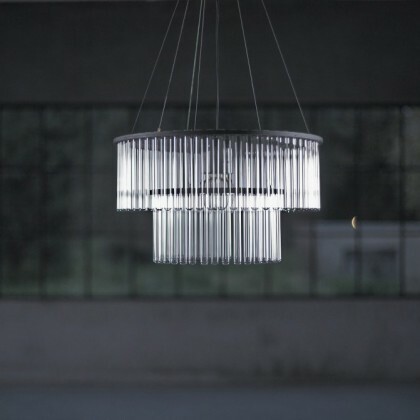 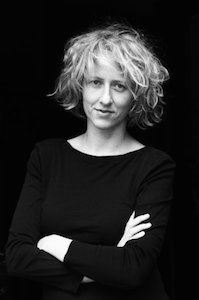 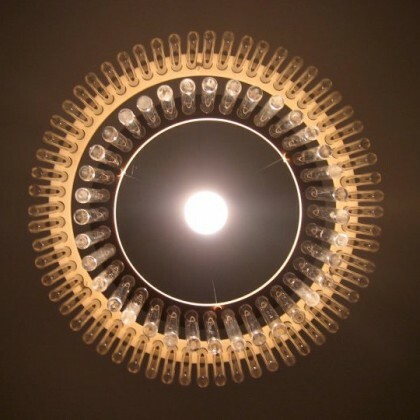 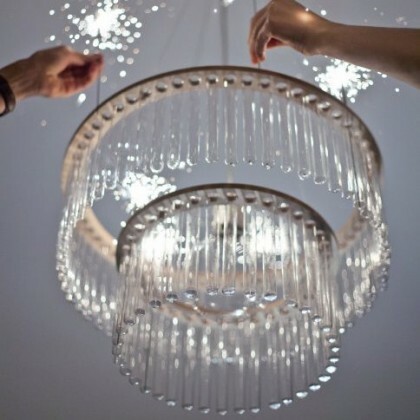 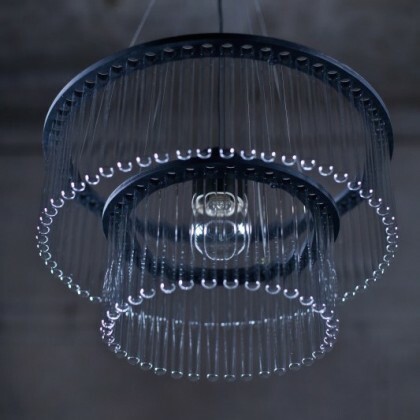 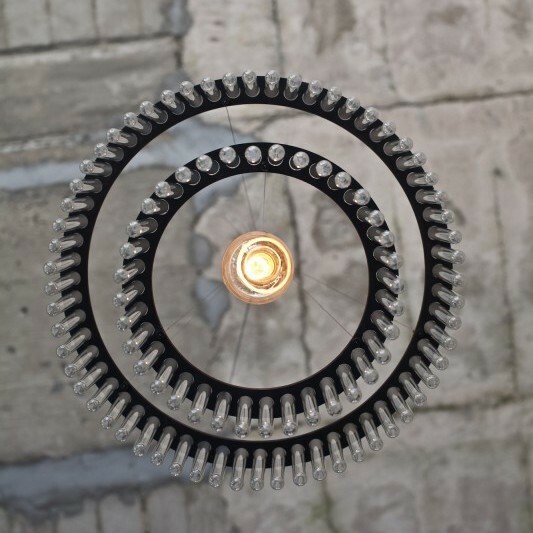 With Pani Jurek’s innovative chandeliers, creative interior design knows no bounds. 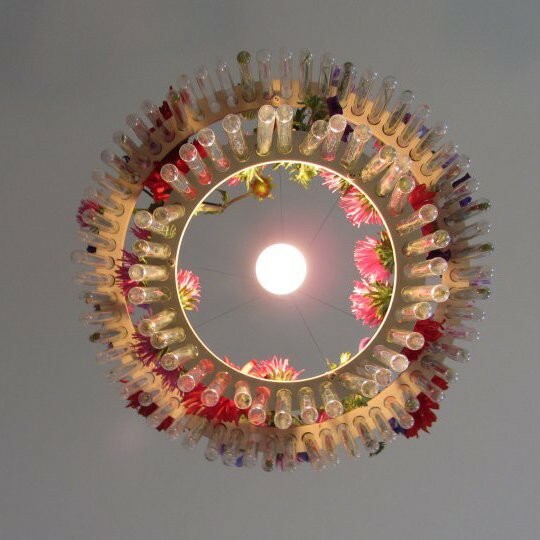 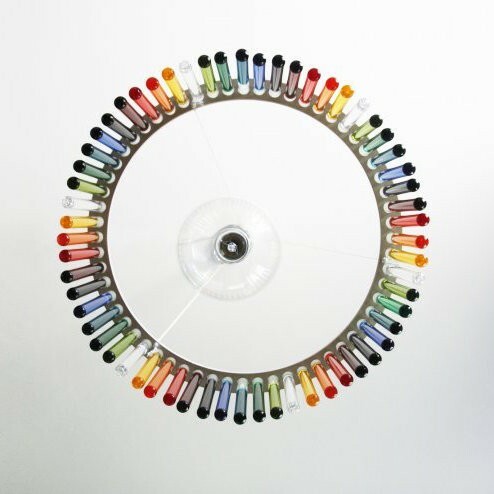 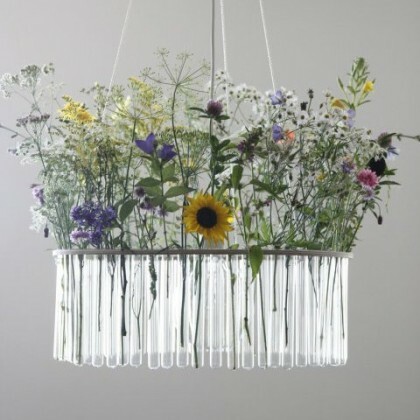 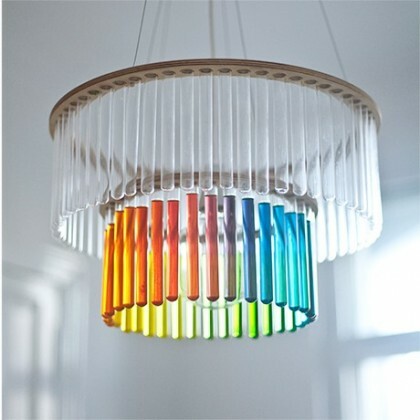 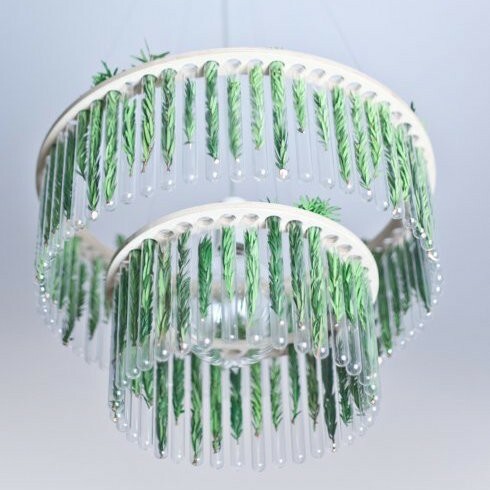 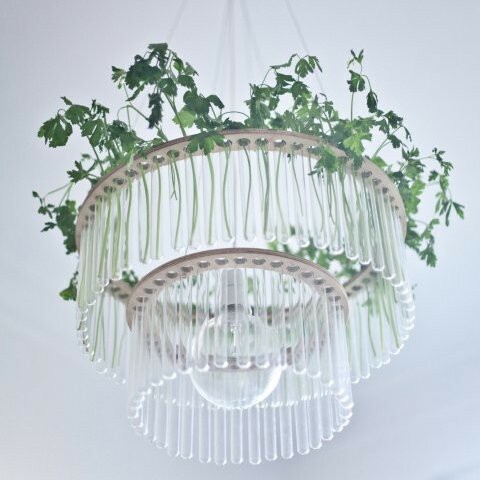 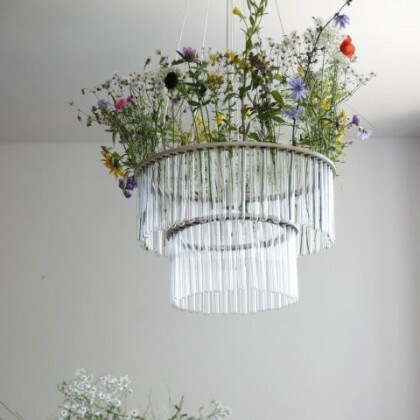 The Maria SC chandelier is made of removable test tubes, each fitted into a plywood ring, that can hold vibrant liquids, plants, sand, beads, or other unique and colourful items—or stand empty for a stunning crystal effect. 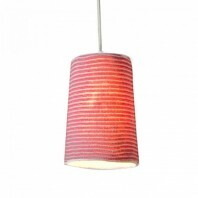 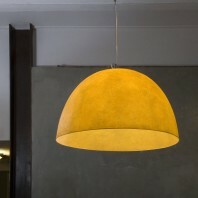 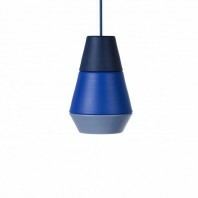 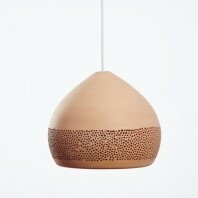 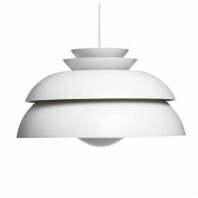 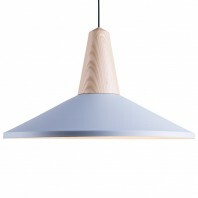 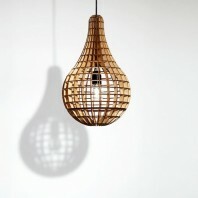 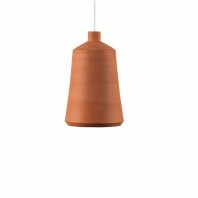 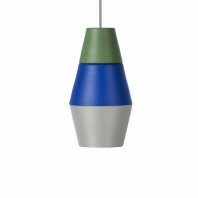 This surprising material and geometric shape makes this lamp both classic and innovative. The glass cylinder recalls Art Deco forms in a unique contemporary way. 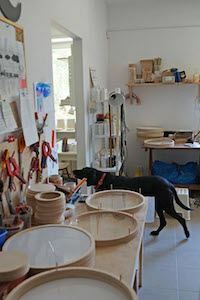 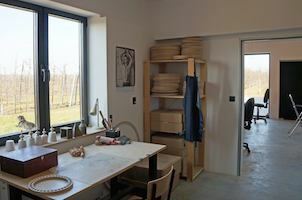 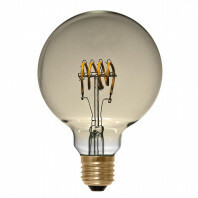 The use of ready-made objects gives an appearance with a Duchamp idea. 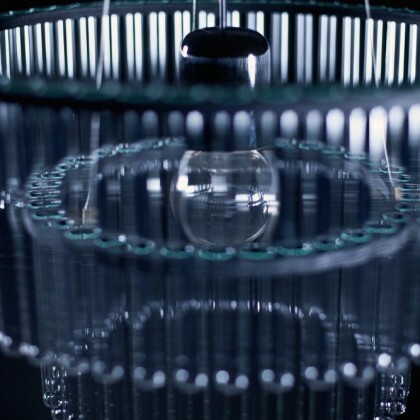 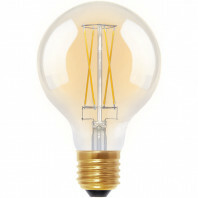 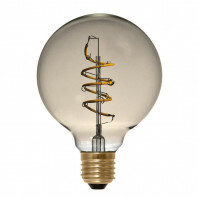 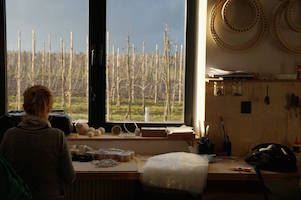 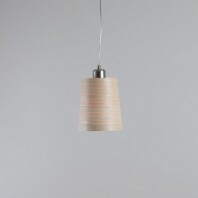 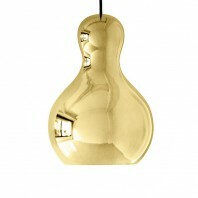 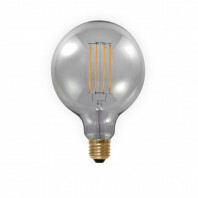 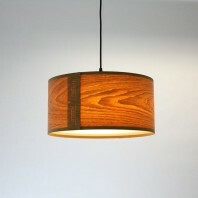 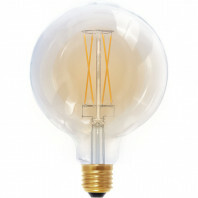 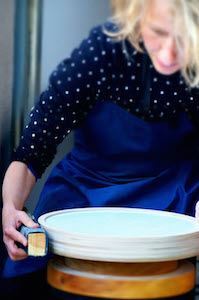 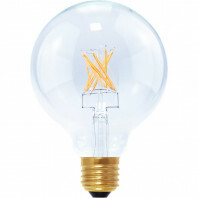 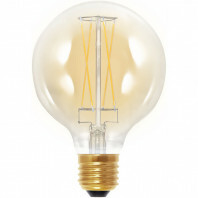 The lamp is inspired by the Polish scientist, Maria Sklodowska-Curie, who was awarded the Nobel Prize in Chemistry. 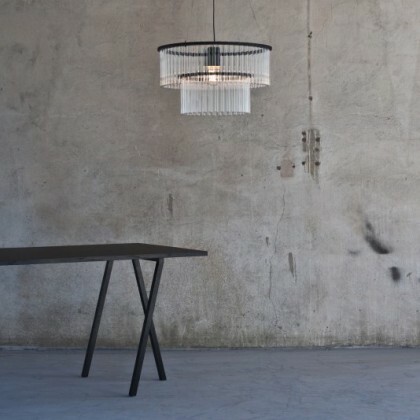 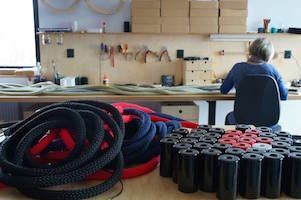 The tubes are detachable and the lamp provides the opportunity for visual experiment by creating a variety of configurations and arrangements. 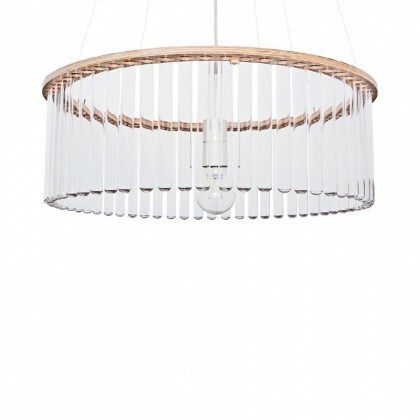 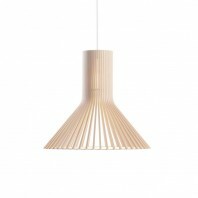 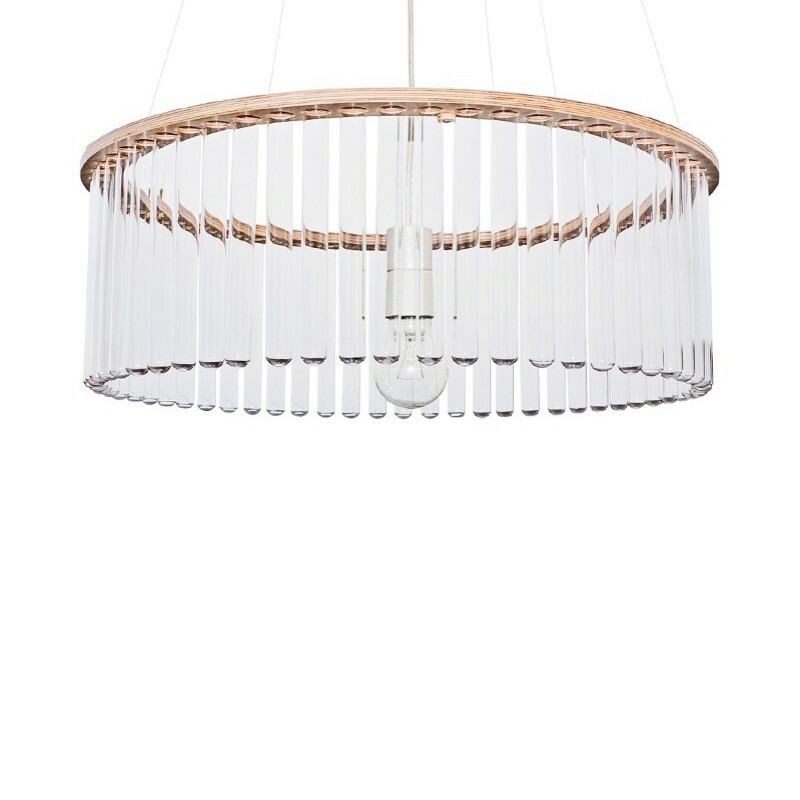 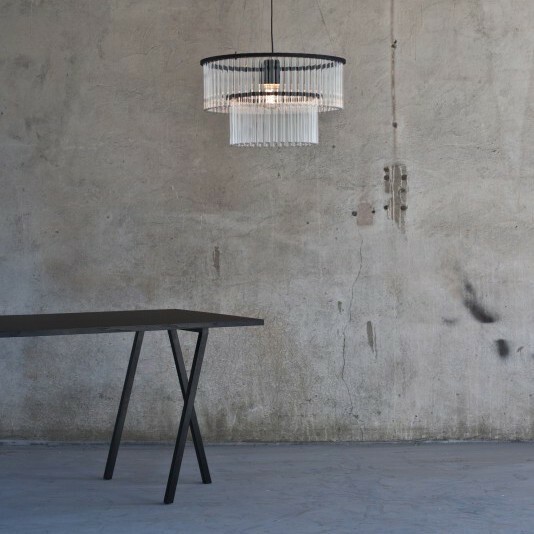 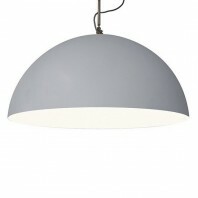 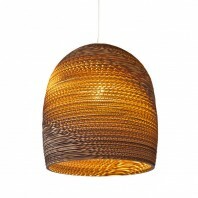 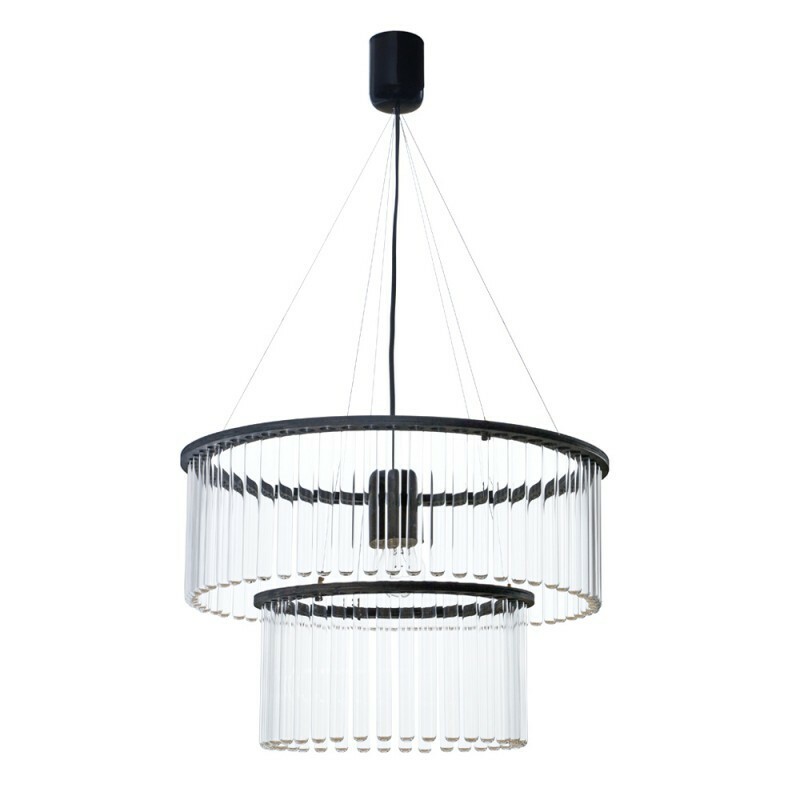 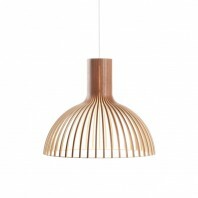 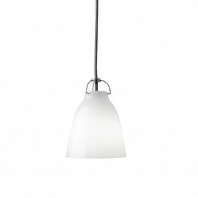 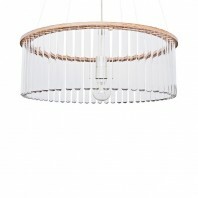 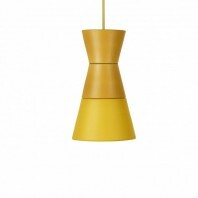 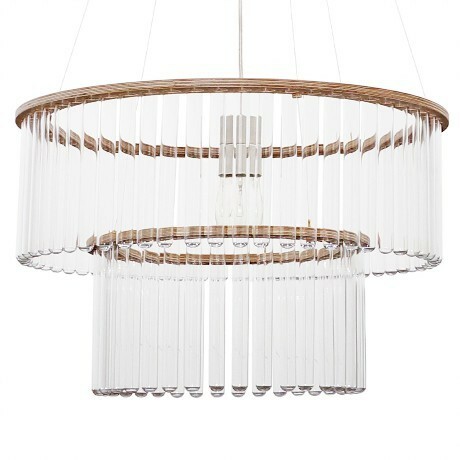 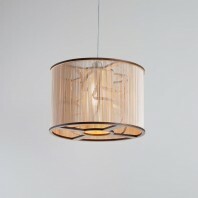 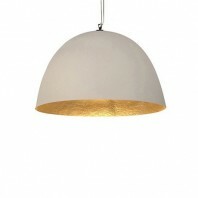 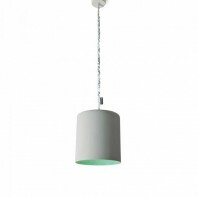 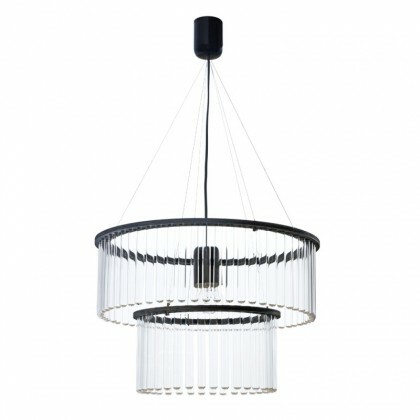 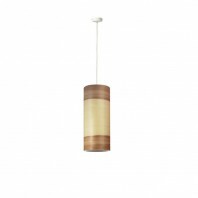 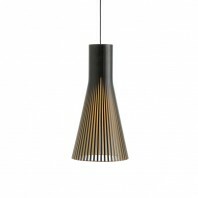 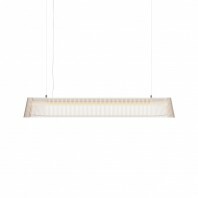 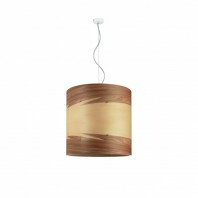 The Maria SC chandelier is available in two sizes. - Maria SC single with 60 removable test tubes and one wooden ring. 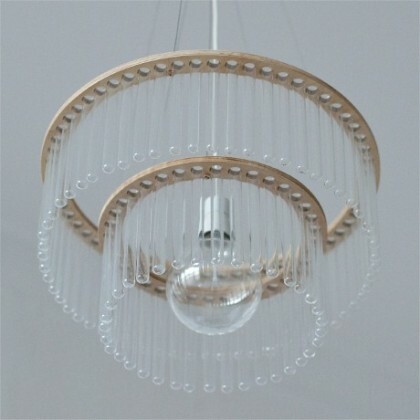 - Maria SC double with 96 (60+36) removable test tubes and two wooden rings. 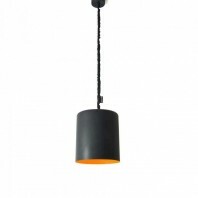 This size is also available in the color black.